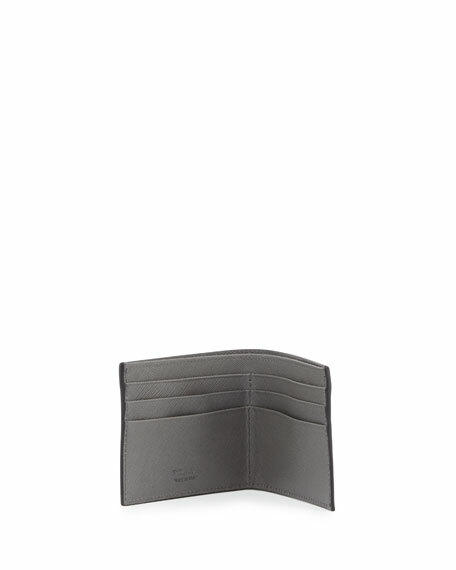 Prada bi-fold wallet in saffiano leather. Logo plaque at left corner. Interior; currency slot, six card slots. For in-store inquiries, use sku #1667536.